We decided to touch a very delicate food related topic. Fast food is currently the most popular form of nutrition and millions of people around the world kill their hunger by eating exactly this type of food. 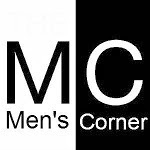 We acknowledge that it is not very healthy and that the consumption of this food in large quantities can cause serious consequences, we had to rely on what our fast food is actually in relation to the world. 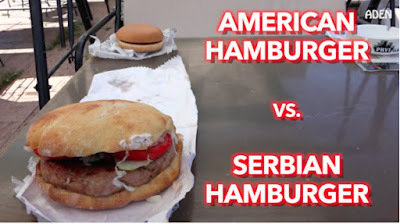 Inside Check & Taste testing of an American Hamburger and a medium sized Serbian Hamburger (Pljeskavica) - only medium sized to keep the competition FAIR. Both hamburgers are similarly priced. We decided to make the hamburger a real test. American hamburgers quickly conquered the world because of their strong aromas and beautiful looks. American hamburgers are present in every city and in most cases people are impressed with this food. Nevertheless, in the Balkans, the hamburger has extremely serious competition. Balkan burger also began to receive very good comments, especially from foreigners visiting Serbia. They say that pljeskavica (Serbian burgers) are huge, tasty and cheaper than an American hamburger. You can eat a "pljeskavica" in Serbia on every corner, which only shows how popular this food is. However, we asked the question: Which burger is better, Serbian or American? We found a video clip that clearly transmits our answer. See for yourself, and tell us if you agree.